1. Place potatoes into a large pot that contains salted water. Bring to a boil over high heat. Reduce heat to medium-low, cover, and simmer until just tender, about 15 minutes. Drain the potatoes and allow to steam dry for a minute or two. 2. 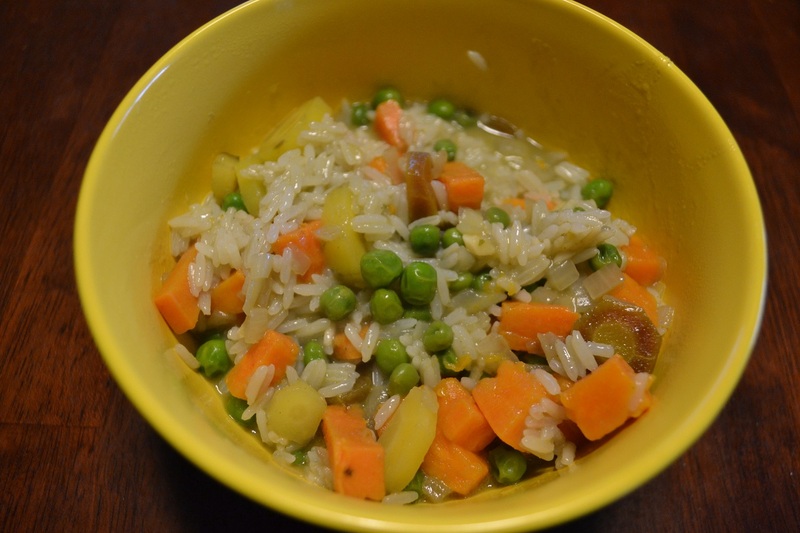 If serving with rice, start the preparation of the rice. Also, if you are planning on making home-made Naan make sure to start proofing the yeast. 3. Meanwhile, heat the vegetable oil in a large skillet over medium heat. Stir in the onion and garlic; cook and stir until the onion has softened and turned translucent, about 5 minutes. Season with cumin, cayenne pepper, curry powder, garam masala, and salt; cook for 2 more minutes. Add the tomatoes, peas, and potatoes. Pour in the coconut milk, and bring to a simmer. Simmer 5 to 10 minutes before serving. 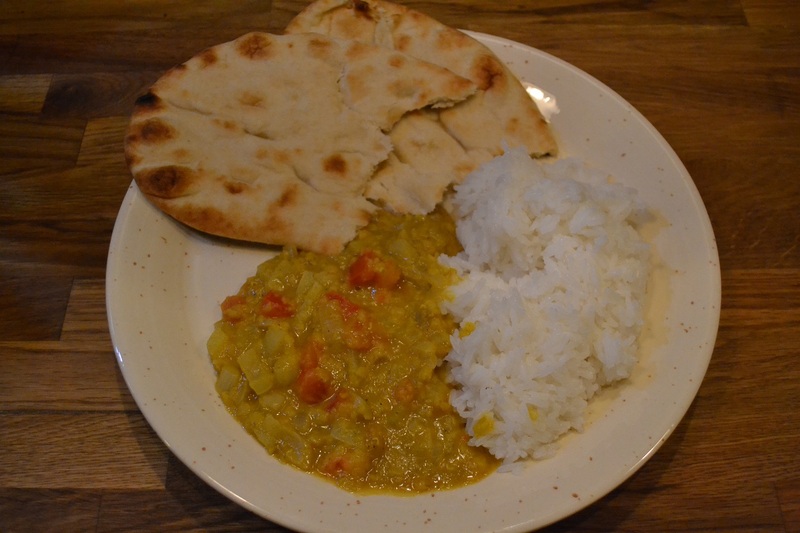 Note: Regular home-made Naan recipe https://ourfunstuff.wordpress.com/2015/06/04/supereasy-homemade-naan-indian-flatbread/ and home-made Garlic Naan recipehttps://ourfunstuff.wordpress.com/2015/06/04/supereasy-naan-bread-with-garlic/. The dish stores well in airtight container and heats well in microwave. Be aware though, that it may even be more delicious the second day. Categories: In The Kitchen, Main dishes | Tags: coconut milk, home-made Indian food, Indian food, peas, potatoes, tomatoes | Permalink. 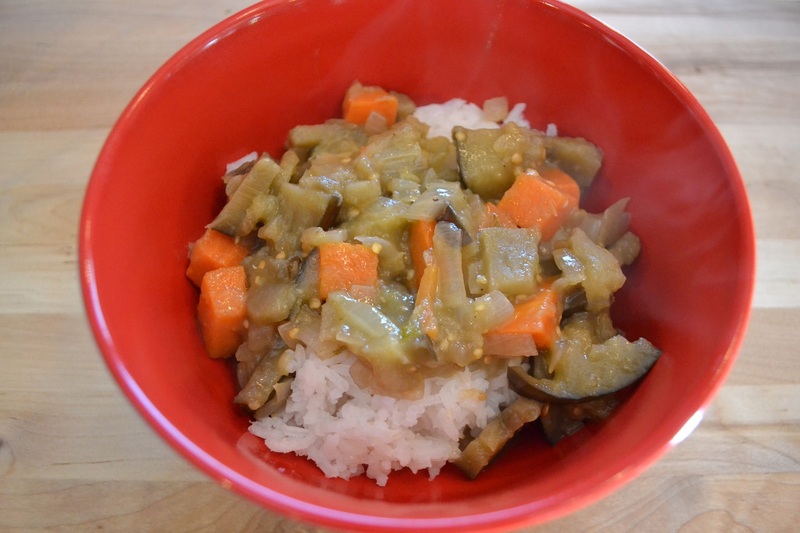 I love eating curry but I don’t eat it very often. This is partially due to not eating out very often in Thai restaurants (maybe the Thai restaurants here aren’t so good?!) and not really knowing how to make curry. 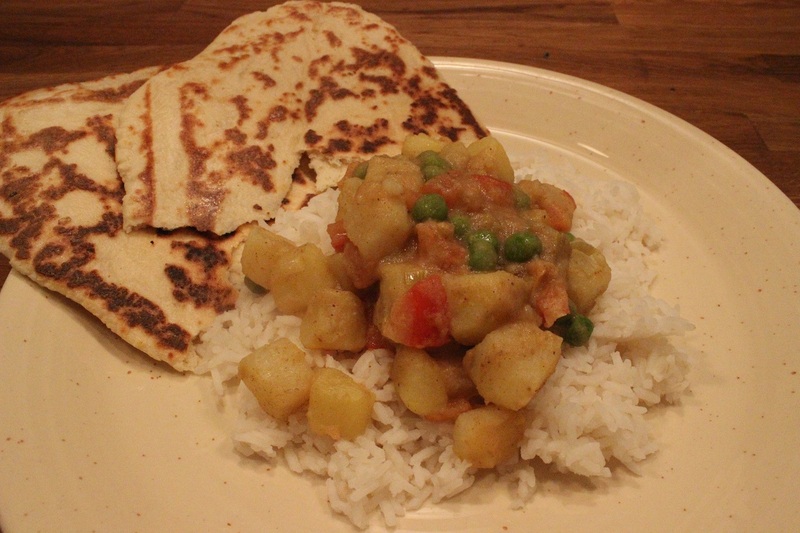 Recently, I came across this curry recipe and I figured I had to give it a try. Hans and I enjoyed the outcome, but I will have to work out some kinks to make this recipe better. Any input is GREATLY appreciated. 1. Heat the oil in a large wok or frying pan. Add the onion and green curry paste and cook, stirring, over medium heat for approximately 3 minutes. Add the eggplant and potato and cook for 4-5 minutes, or until softened. 2. Pour in the coconut milk and vegetable stock, bring to a boil and reduce heat to simmer. (Simmer for 5 minutes and then add the kaffir lime leaves.) 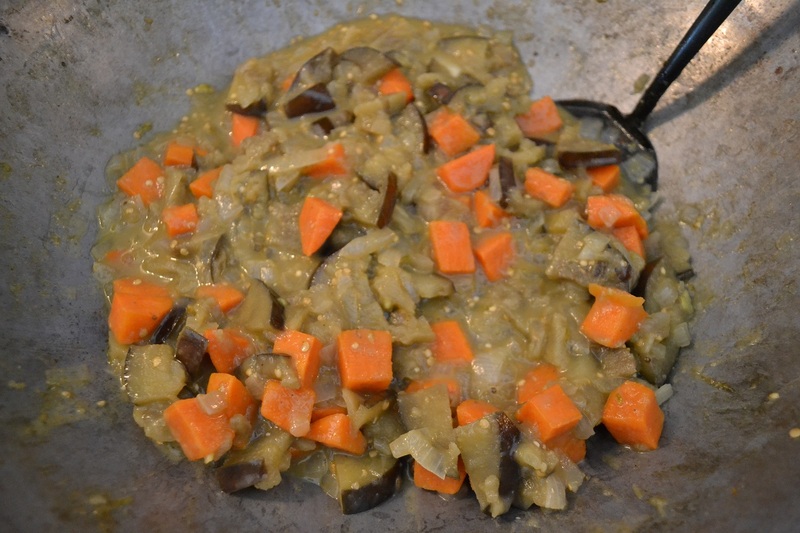 Simmer until the eggplant and sweet potato are tender. 3. Mix in the sugar, lime juice, and lime rind. Season to taste with salt and pepper. 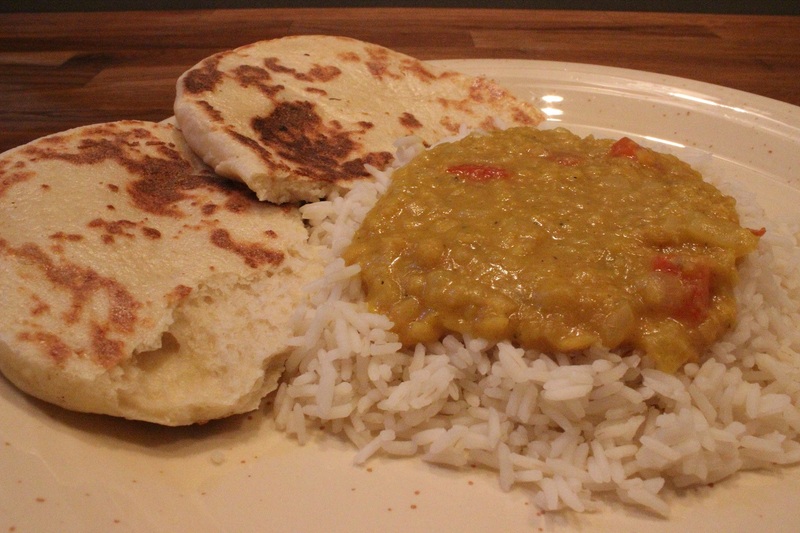 Serve with steamed rice (we used Jasmin rice). * Make sure that the eggplant is small and skinny. Larger eggplants tend to have lots of seeds inside. I found those seeds a bit distracting in the dish. * Make sure to get the lime rind before squeezing the juice out of the lime. * While the taste of this recipe was good, I somehow felt that something was missing. Categories: In The Kitchen, Main dishes | Tags: coconut milk, EARLY AUTUMN, eggplant, lime, SUMMER, sweet potato, Thai curry, vegetarian | Permalink.